Location: Sao Hill Industries and GRL Tanzania Ltd, Mafinga - Iringa, Tanzania. 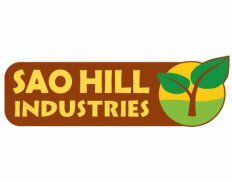 Sao Hill Industries Ltd operates one of the largest Sawmills in East Africa, producing high quality sawn timber as well as pallets, doors and other value-added products. The company is also the main supplier of transmission poles in Tanzania. Sao Hill Industries Ltd also operates two state-of-the-art timber treatment plants. 2. The candidates must have recently graduated or graduated not earlier than June 2016.
a) Assist to coordinate the production process with the Sawmill Managers on a day –to day basis and direct sawmills on required timber sizes for production. b) Assist to coordinate orders through the production process. c) Assist to coordinate with the Value Adding Department for the supply of raw materials. d) Assist to communicate with the Sales team for order booking and timely delivery. e) Assisting in daily loading on trucks as per timber sizes and destinations as well as communicate with timber transport suppliers and be responsible for ordering trucks and verifying invoices. f) Assist on the responsibilities for production analytics and data collection for all pine production units. g) Assist review the performance of subordinates. h) Actively work towards work safety and environment safety standards. i) Assist to ensure the proper maintenance of stock information as well as proper cost control for all Pine production units. j) Assist to prepare weekly/monthly report and submit the same to the Supervisor. Deadline for applications is 30th October 2018 at 4:30 pm.